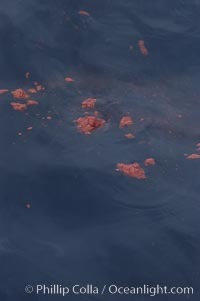 Blue whale feces floating on surface, Baja California. Excreting Photo. 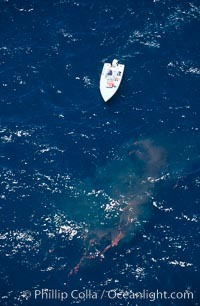 Fishing boat fishing near blue whale feces. Excreting Picture. 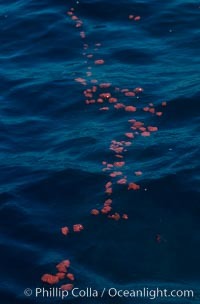 Blue whale feces floating on surface, Baja California. Stock Photography of Excreting. 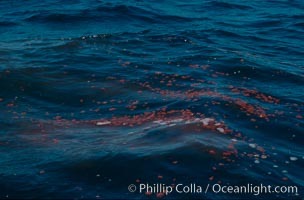 Blue whale feces take on the same color as the whales recent food, in this case likely krill or red crabs. Coronado Islands, Baja California. Photograph of Excreting. 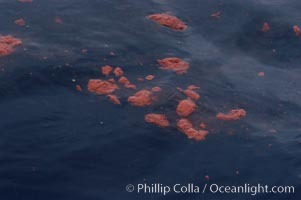 Blue whale feces take on the same color as the whales recent food, in this case likely krill or red crabs. Coronado Islands, Baja California. Excreting Photos.